Why hello there! I’ve got a fun recipe for you today. I’m whipping up some of these Grapefruit Icebox Cookies. Let me tell you why. First, I love cookies around Christmas! Second, I also love grapefruit (I’ll get to more of this in a minute). Third, I’m participating in a Christmas cookie recipe exchange with some of my favorite bakers on the good ol’ Instagram. 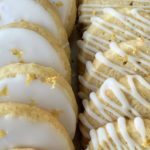 Each day, I’ll be sharing a different cookie recipe on my stories here. Do you love grapefruits, too? Each year, I look forward to the holiday season, not only because of all the awesome things it brings, but because of the return of grapefruit. I get so giddy, you guys! As kids in our family, we would get so excited for Christmas morning because that meant finding a grapefruit in the toe of our stockings. We would eat them for Christmas breakfast, scraping them completely clean. Since grapefruits are more expensive, they were more of a rare treat around our house. Because of that, I always associate grapefruits with Christmas. And aren’t they the best? Dare I say one of the most under-appreciated fruits? My kiddos love them, too. In fact, when they see me cutting them up for breakfast, the squirming and the anticipation mounts. I love that they love grapefruits, too! A few weeks ago, I came across an ad in a local grocery store that had a hoppin’ deal on a box of grapefruits. So I snagged a box because we love them so much around here. As it turns out, 58 grapefruits actually is a lot of grapefruits (ha!) and so I had a bit of a surplus. 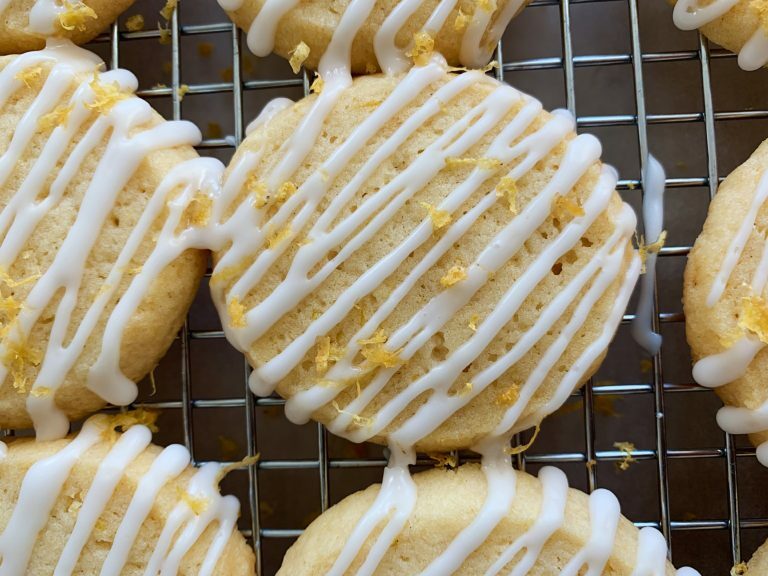 What better occasion than to make these delicious grapefruit icebox cookies? 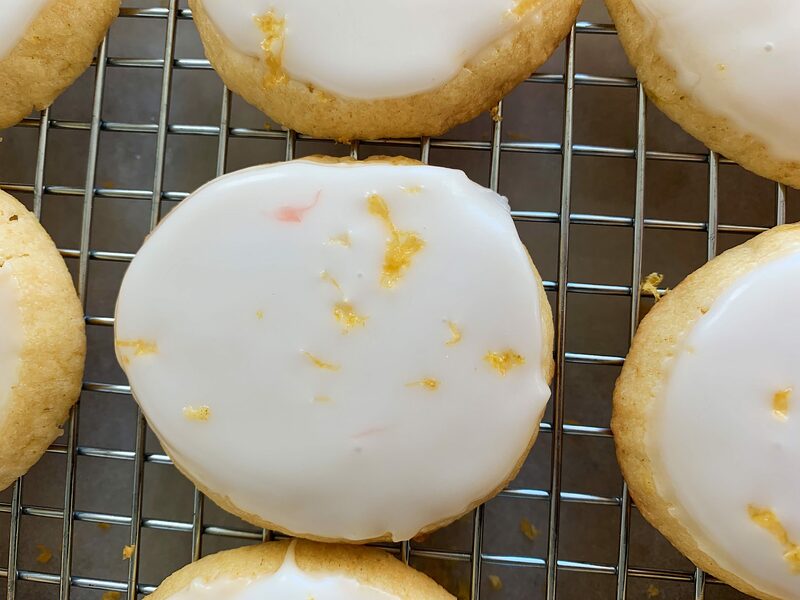 When it comes to holiday baking, there are plenty of heavy flavors (think chocolate, gingerbread, nuts, etc) so having a grapefruit cookie on your itinerary is a good weapon. They’re refreshing and full of citrus flavor, but they’re also buttery. The best thing? They’re so easy to make! 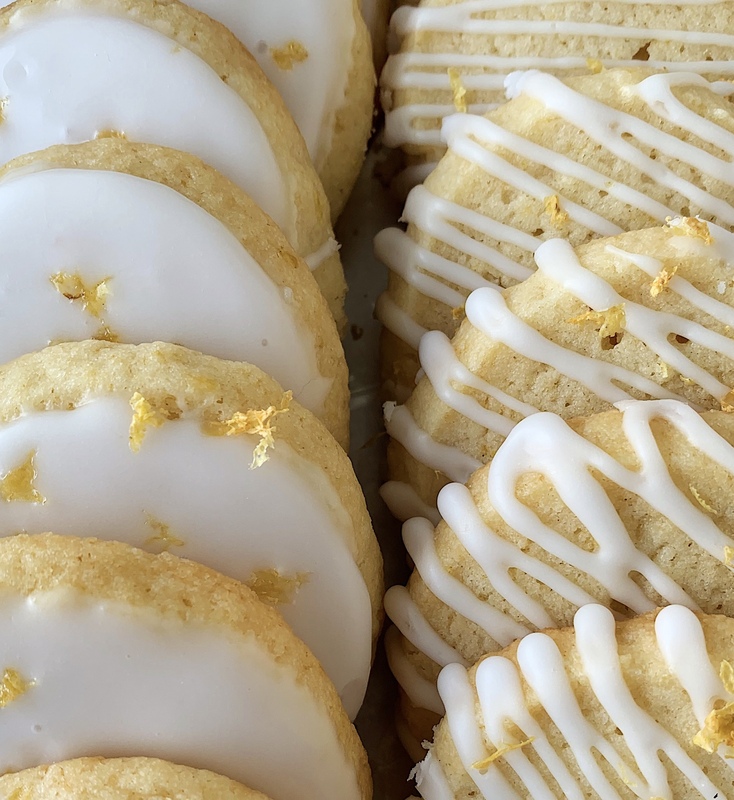 Icebox cookies are so easy to make, and are nice to make this time of the year because you actually have to put the dough in the fridge. So you can mix the dough, pop it in the fridge, bake something else, or chill out while the dough chills. I hope you have a wonderful holiday season and enjoy these cookies! Light and refreshing--these are the perfect cookies to add to your holiday cookie list! In a stand mixer with the paddle attachment, cream together butter, sugar, and grapefruit zest until the mixture is creamy, about two minutes. Add vanilla extract and grapefruit juice then let mix for another minute or so. Add flour, cornstarch, baking powder, and salt and let mix until just combined and there is no dry flour remaining. Place dough on a piece of parchment paper and form into a log about 14 inches long. Roll up the paper, then seal or fold the ends. Refrigerate the dough for at least two hours and up to overnight. Cut the dough into 1/2" inch thick cookies and arrange on the baking sheets. Bake cookies for 12-15 minutes or until the edges of the cookies are very lightly browned. Remove and let cool in a cooling rack. In a bowl, combine the powdered sugar and 4 tablespoons grapefruit juice and mix well. After the cookies are completely cooled, dip the top of the cookies in the glaze or drizzle with a piping tip. Sprinkle with grapefruit zest, if you'd like. Enjoy!